Decode and Transmit Slow Scan TV (SSTV) on your iPad, iPhone and iPod Touch! Want to send and receive SSTV transissions, without using a bulky computer? 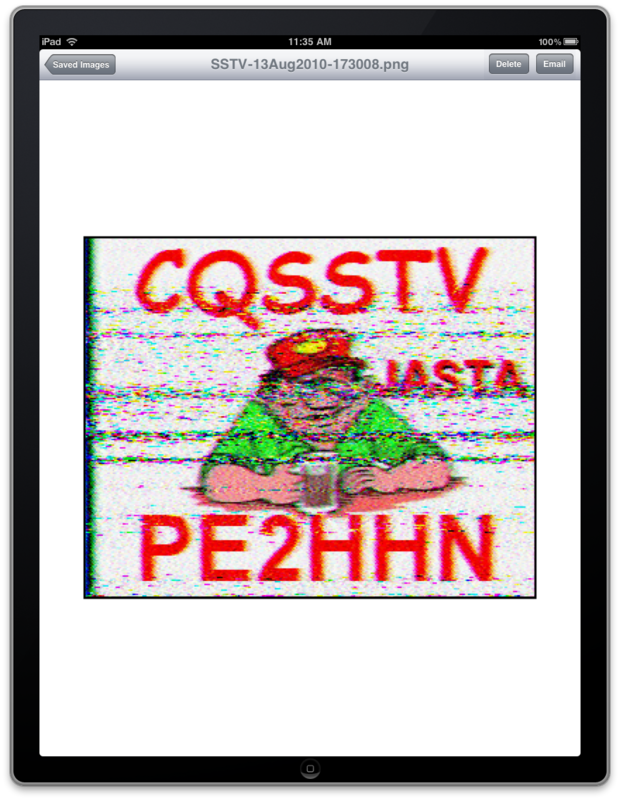 SSTV Pad lets you decode and display Ham (Amateur) Radio SSTV (Slow Scan TV) transmissions. 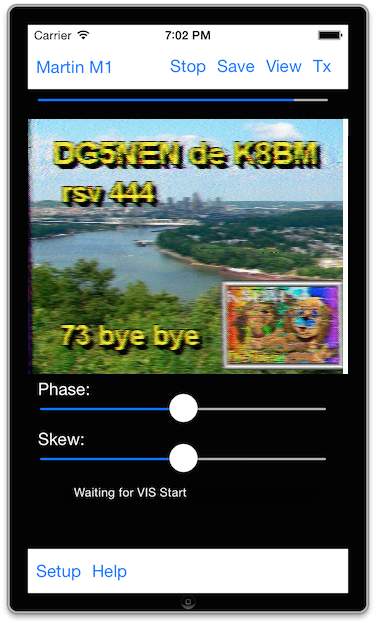 Just connect your device to an HF radio (or even set it next to the radio's speaker), tune in an SSTV frequency, and watch the pictures. 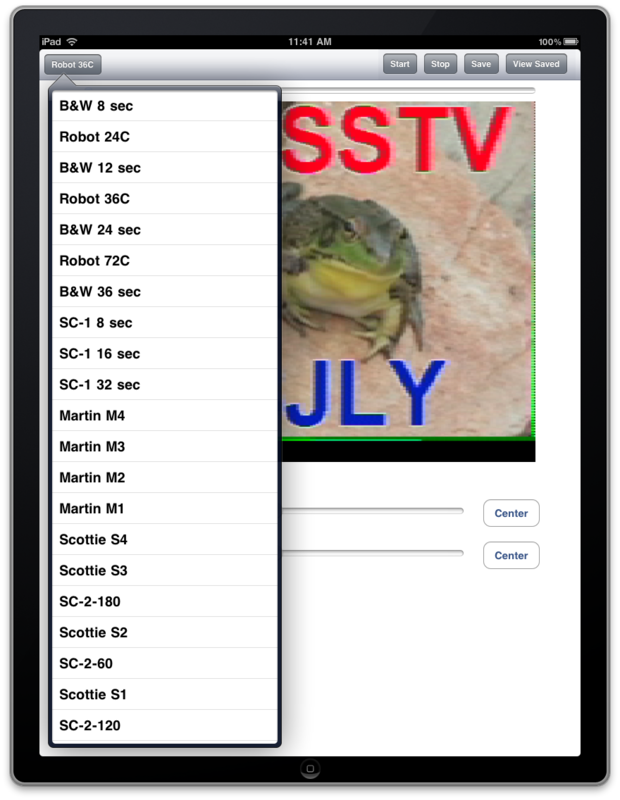 SSTV Pad decodes all of the popular SSTV modes, including Robot, Scottie, Martin, and more. Received images can be saved - including automatically as they are received. You can leave the app running unattended, and come back to view all the received images. You can review saved images, as well as send them via email, and use iTunes file sharing to transfer them to your computer. You can even post received images to Facebook or Tweet them, right from within the app! Images from your photo library can be transmitted, and text can be superimposed over the image. Here is a video of the app in use. 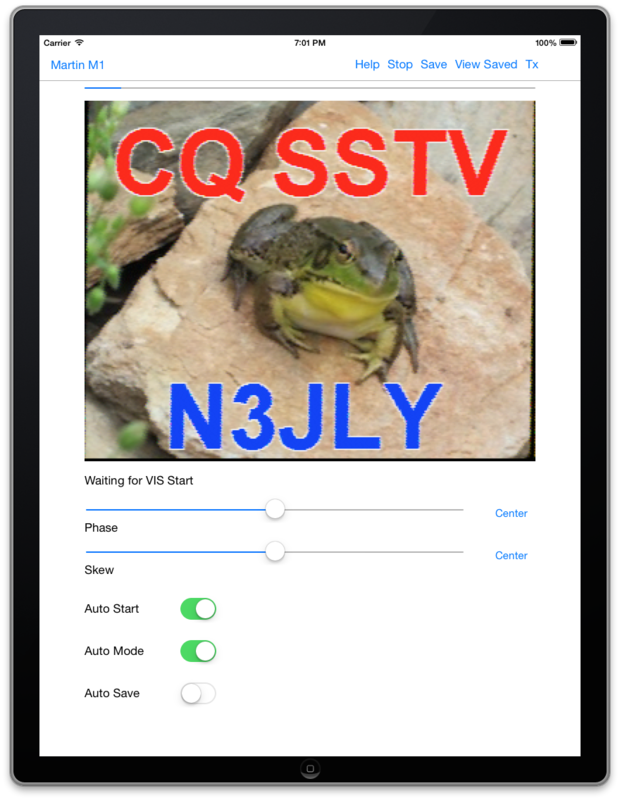 Visit the SSTV Pad FAQ page for full details on how to use the app.